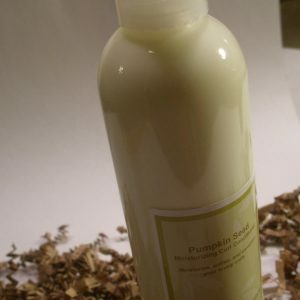 Curl Moisturizing Hair ConditionerIt doesn’t get anymore moisturizing than pure Pumpkin Seed Oil! Our moisturizing conditioner will help to soften, moisturize and condition your coils. We scented this one with a sweet smell of pumpkin. Use as a cream rinse or rinse-out conditioner to give your curls a wonderful boost of moisture and softness. Distilled Water, Behentrimonium Methosulfate, Cetearyl Alcohol, Cucurbita Pepo (Pumpkin) Seed Oil, Cocos Nucifera (Organic Virgin Coconut Oil), Camellia Oleifera Seed Oil, Cetyl Alcohol, Extracts of Avena Sativa (Oatstraw), Urtica Dioica (Nettle Leaf), Symphytum Officinale (Comfrey), Salvia, Officinalis (Sage), & Juniperus Communis (Juniper Berry), Panthenol, Hydrolyzed Oat Protein, Phenoxyethanol, Caprylyl Glycol and Fragrance. *Use it as a cream rinse to naturally condition dry curls, locs & waves. *Use as rinse-out conditioner to add moisture.